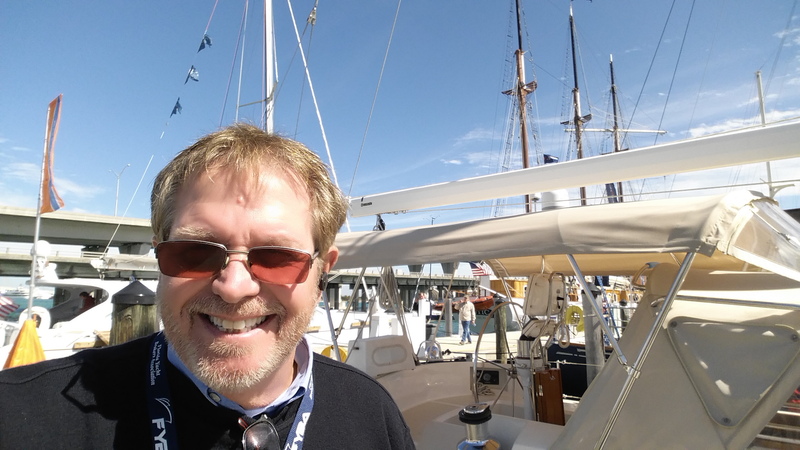 Hooked on boating at age 7, Jeff has a treasure trove of industry experience. With thousands of sea miles under his keel, he offers customers a wealth of resources. Two significant adventures on the water he recalls include a 35-day, 30,000-mile circumnavigation as well as a non-stop, 2500nm sailboat race from San Francisco to Hawaii. A consummate advocate for buyers and sellers, Jeff loves helping clients achieve “two of the happiest days of a boater’s life” and would love to help you achieve yours today. 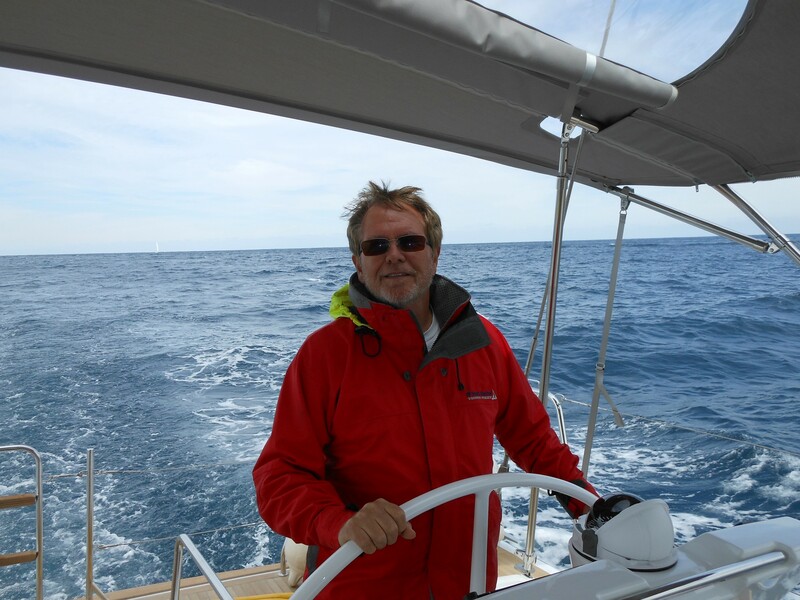 I met Jeff when I purchased a Deerfoot 62 cruising yacht he had listed in 1994. Jeff’s professionalism and integrity were immediately apparent and I knew that I was in good hands. After the sale/purchase was completed, Jeff was always available to share his wealth of knowledge and vast resources as I prepared the yacht for the trip from Ft. Lauderdale to San Francisco. 17 years later and with a circumnavigation in my wake, Jeff was the only person who I considered to help me transition my beloved Moonshadow to her next caretaker. The new owners and I both celebrated the happiest day and a transaction handled smoothly and professionally by Jeff. Later that year I once again asked Jeff to represent me, this time as a buyer, in the purchase of a power boat. I have recommended numerous friends and acquaintances to Jeff over the years, and all of them report the same thing, that dealing with Jeff is smooth sailing. 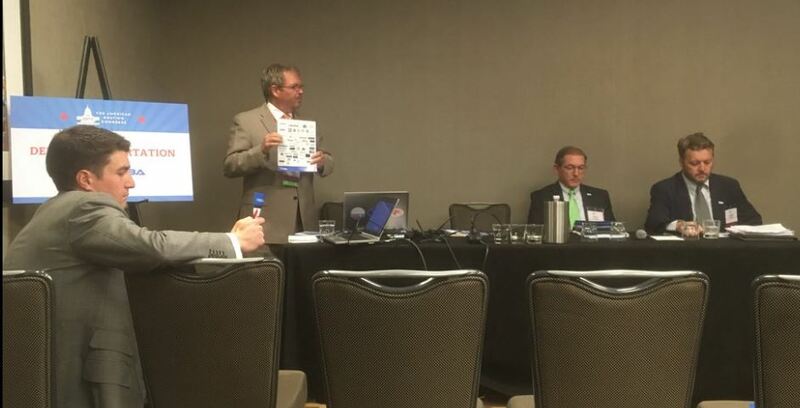 I have had the pleasure of serving on the F.Y.B.A Board of Directors with Jeff Erdmann for 3 years and Jeff deserves not just a recommendation or endorsement, but outright applause for his hard work and his ethics are beyond reproach. His efforts and diligence regarding implementation of the Florida legislative amendment of the tax code to institute the sales tax cap of $18,000 on vessel sales was nothing short of tireless. Thanks to his direction and vision, boat purchasers in the State of Florida pay less and the Department of Revenue reaps more net revenue annually. I know Jeff to be very knowledgeable in the brokerage field and have had nothing but good experiences with him. Always immaculately professional. He cares. Highly dependable. Honest as the day is long. A huge plus for South Florida's Yachting Industry. Jeff is a fact based executive who worked tirelessly to achieve passage of the sales tax bill on boat purchases in the Florida legislator. He is passionate about working on behalf of the marine industry and would enjoy being part of a committee again with Jeff. He has my full support for the legislative affairs chair position. Jeff provided the technical expertise, unwavering dedication and commitment to a challenging state tax policy legislative issue. His leadership was pivotal in the ultimately successful passage of the sales tax cap on yacht sales. 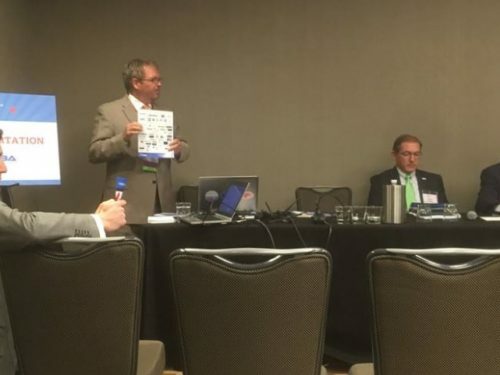 Jeff was able to understand and navigate the legislative process and present the marine industry to policymakers, staff and the Administration--raising the profile of FYBA and the role it can play within the broader marine industry and Florida's economy. 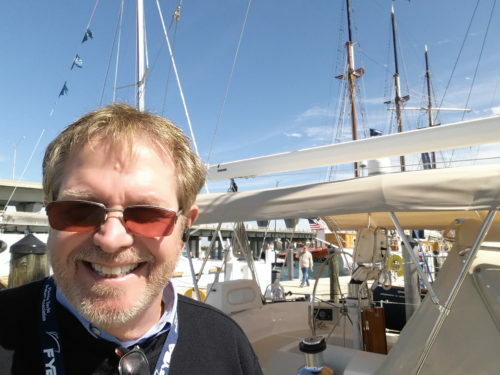 Jeff is one of the top yacht brokers in the USA. His professionalism and integrity are a model for anyone to emulate. 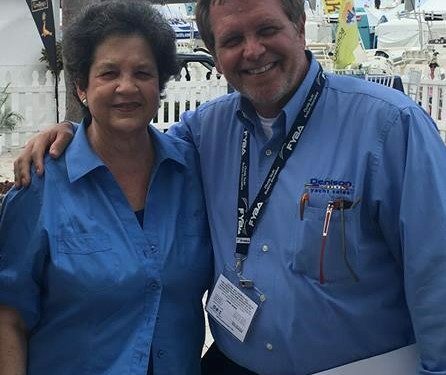 The time and unselfish effort that he devotes to promoting and protecting the recreational yachting industry in Florida is nothing short of admirable. I consider it an honor and privilege to have worked with Jeff in this industry, and to call him a friend. Jeff maintains the highest ethical standards. He was a key player within the Florida Yacht Brokers Association to push through the $18,000 tax cap on yacht sales. His tireless efforts has benefited all in the marine industry from the boat cleaner and yard worker, to the marina staff. This law simply keeps boats in Florida and Jeff saw this as a way to help the industry in a way that nothing else even comes close. I could not recommend him any higher! Jeff is a passionate advocate for the marine industry and all of the people it employs. Jeff entered the legislative arena as an admitted novice and through his hard work, disciplined study and attention to detail became a resource many look to for the yacht brokerage industry. It was a pleasure to work with Jeff and many of the same qualities that make him such a successful businessman make him a popular and effective leader for the industry in Tallahassee. From day one, working with Jeff Erdmann was something a bit different. If you are a boater, you most likely have run into brokers who are pretty high on the 'never care to talk to that person again.' Jeff was different, and it wasn't just that he was attentive and demonstrably conscientious, we were having conversations at a distance, which by most situations, would have made working with a broker a very painful activity. Jeff is someplace in Florida in the US and I live on the island of Mallorca, off the coast of Spain in the Mediterranean. After countless emails back and forth, and shedloads of questions from me, Jeff had pretty much impressed me as someone I might want to deal with. We flew over to the Caribbean (the boat was located in St. Martin) and after seeing the boat for the first time, I contacted Jeff and explained the speed with which I wanted to make all this happen. Jeff, who to be fair, undoubtedly does have a life, and recognizably does have other clients, explained that my timeline was going to be problematic for him to breakaway and fly down to work all this through. After another phone call, Jeff worked out how we could buy the boat, whilst at the same time, working with the broker (Jeff), but never actually meeting him face to face. Within a few days, everything had been worked through and after what seemed at the time to be piles of papers to be signed, I ordered a wire transfer and sailed away on my new boat. The big question is whenever one works with a broker is, 'would you recommend this broker to anyone else? Or even more importantly, would you recommend this broker to a good friend?" My answer is that I most certainly would. Jeff is a unique person that can ware many hats and do a variety of jobs extremely well. He has been very effective with his company, serving on the FYBA Board of Directors and particularly effective dealing with Florida State legislative affairs on behalf of the marine industry. I know Jeff professionally and highly recommend him. Jeff's efforts to achieve a tax cap on the sales of brokerage boats in Florida have been remarkable. His tenacity, coupled with a sharp mind and tireless energy, assured the success of his team's efforts in Tallahassee. Jeff is to be highly recommended for his outstanding leadership in this effort which will ultimately generate millions of revenue dollars for the State of Florida and for the marine industry of which we are both part of. After having my 64' Jeanneau for sale for about one year with little to no interest, I decided to make a change in my broker. I sought someone who had been in the industry for an extended period and had a proven record of performance. 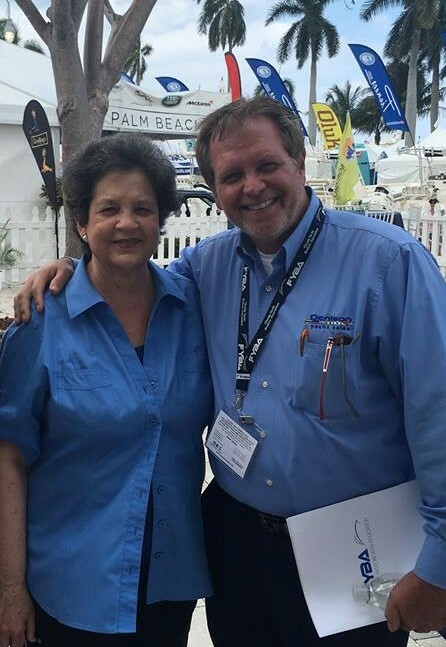 Though this process I was introduced to Jeff Erdmann, who immediately gave me very sound advice including moving the boat to a better location for sale, input on pricing and an improved marketing plan which included a couple of boat shows. Jeff also informed me that it would take approximately six to nine months to complete a sale. Through Jeff's suggestions and involvement, he was able to generate interest in the boat immediately and in fact consummate a transaction in 3 1/2 months with a few potential backup buyers if the deal did not close. Jeff was extremely professional, organized and diligent. He kept me very well informed not only on the progress on my vessel but also what he saw in the marketplace. I think the highest accolade I could pay to Jeff is that I would use him again not only to sell a boat but also in the purchase of one. Hired Jeff to sell my large sailboat in Connecticut. A difficult sell, which he performed very professionally and successfully. He stuck with it until the job got done. One of the best brokers in the business in my opinion. Jeff's experience in the industry, along with his strong sense of ethics, make him a unique resource. He sold our Passport 47 in a difficult market and obtained a fair price. He capably used the market statistics to help us maintain a proper balance between a seller’s expectations and the reality of the market. We trusted and relied on his years of knowledge and experience and we were not disappointed. Jeff also referred reliable resources to complete work/improvements on the boat during the sale process and it was clear that he felt his responsibilities were not complete until he had a happy client. Why are some yachts #NOT FOR SALE TO U.S. RESIDENTS WHILE IN U.S. WATERS?